2019 Goals | Quarterly Check-in! I’ve been seeing a lot of quarterly check-ins lately for everyone’s 2019 goals, and I thought it’d be fun to look back at my own and see how I’m doing, as well. In my 2019 Goals post, I listed three different categories: fitness, reading, writing. First up: fitness! 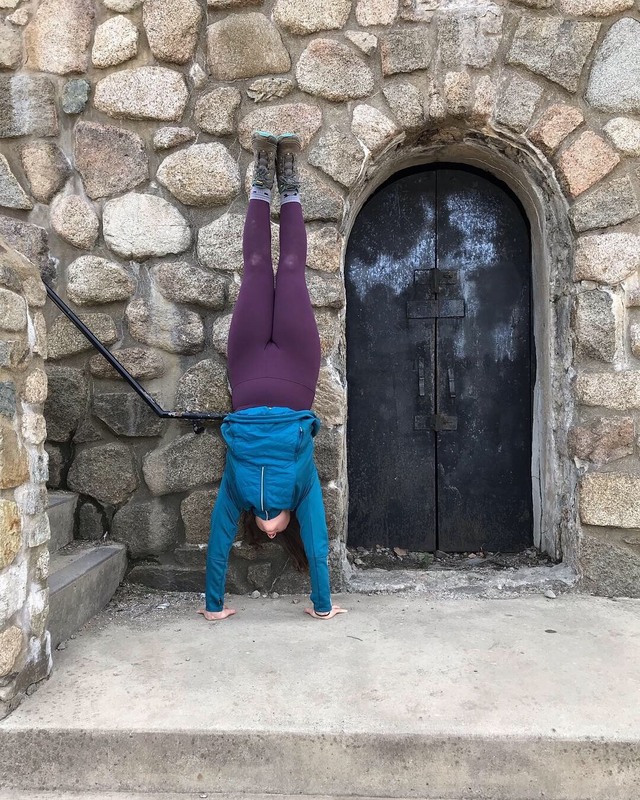 I have two goals for 2019–successfully do both a handstand and a forearm stand away from the wall. I honestly work on my handstand every single day, usually in the morning or after work. I’ve gotten to the point where I can now kick up, get both feet together, and hang out for max one or two seconds, but all of that without touching the wall. Actually getting up away from the wall isn’t something I’ve even attempted yet, but I am seeing major improvement in both my balance while in one and actually getting up there. My forearm stand has, as it usually does, taken something of a backseat. I do practice it sometimes, and I do have a lot better balance in it than my handstand. I also do truly try it away from the wall a lot, which I haven’t done at all with my handstand, but still, I’m not as far along as I’d hoped with it. Next up: reading! 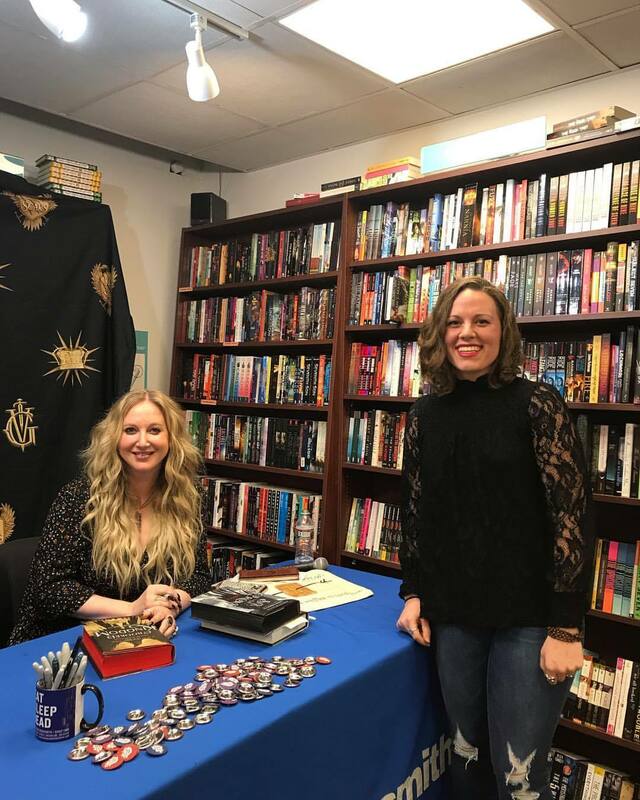 Oh my gosh, yes, that is Leigh Bardugo, and yes, I have gone to two reading events so far this year, which is just amazing. I meant to go to three, but it didn’t happen, ugh. Anyway, my main reading goal was 100 books at the beginning of this year. Since then, I have updated that to 150, and my unofficial goal is 200. At the rate I’m currently reading, I could get to 200 pretty easily, so we’ll see, but I’m not setting it as an official goal because that’ll stress me the heck out. I’m currently at 57 books read, which puts me at 14 books ahead of schedule. Finish The Mortal Instruments series reread. I’m not done, which I’m a bit miffed about because I really should be, but I have made progress. At the beginning of this year, I had two left, and now I only have one left with plans to read it this month. Read The Infernal Devices trilogy. I haven’t even started this yet. Finish A Series of Unfortunate Events. You can literally just copy and paste my answer for the first goal. Reread the Inheritance Cycle. Ugh. I want this so bad, too, particularly because I preordered the new novella, but I haven’t even kind of thought about it. Reread the Shades of Magic trilogy. I feel like this is coming soon. I’ve been thinking about Kell and the Londons a lot lately. Reread the Crows duology. I could say the same thing ^^^ about this goal, too, but with Chakraborty’s insane duology and Wicked Saints this month, I’m about at my capacity for stories that knock me down and drag me straight to hell, so this may take a while longer. Read one classic per month. GUYS I’M DOING IT! I’ve read, in order, The Secret Garden, Pride & Prejudice, half of Ulysses (that counts because jfc), and I’m in the middle of the second volume of The Divine Comedy for this month. I have no idea what to read next, but I am actually doing this one. Read the Bible in its entirety. Alright, confession. I’m taking this goal out. It’s not happening even a little. Read every book I bought in 2018. This is another one I’m pretty excited about because, at the beginning of 2019, I had a little over 60 books on my backlist, and I’m now at 34, so I’ve read about half of the books from 2018! Stick to my monthly TBRs! Let’s see. January? Yes. February? 4 out of 5. March? 4 out of 5 + the missing Feb one. April? So far, only 1 out of 5, but there’s still time! I think I’m pretty pleased with where I am with my reading goals. Edit Saints at sea into a final draft. Write Saints at sea 2, and edit it into a final draft. 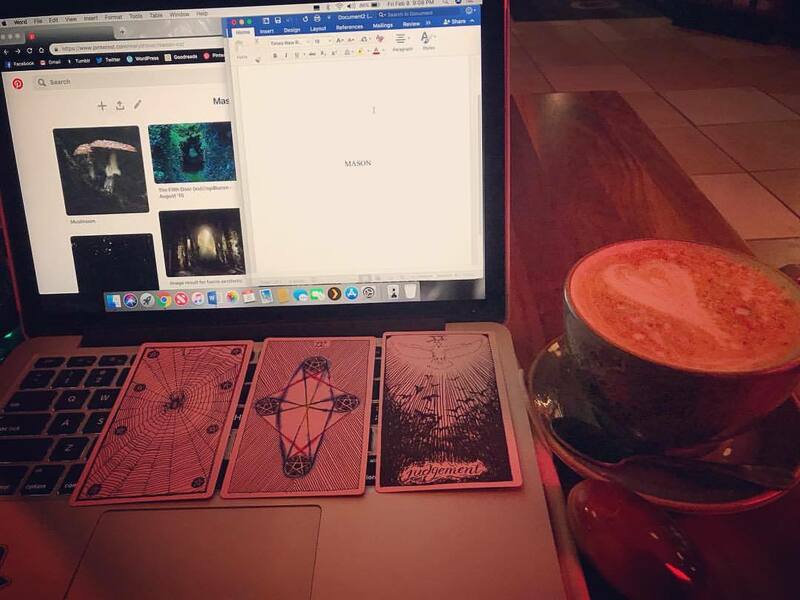 Finish first drafts for the following: sister witches, there are thieves, the ones we left behind. If time allows, start Saints: the bastards. Oh man, I’m so nervous about how awful this is going to be. Saints at sea has been completed, and I’ve actually gone back in twice since the beginning of the year. Saints at sea 2 is having some difficulties, but I have written a little over 20k for it this year, which is way behind where I wanted to be, but that’s life. jfc leave me alone–none of these have come even close. Sister witches & thieves are both about halfway done, so I guess that’s progress. Thankfully, hiking novel isn’t supposed to have moved at all yet. My plan is to write up to their actual hike over the first half of the year, hike their route in the summer, and then finish writing in the fall. Currently, in their story, they’re still driving up to the mountain, but I do work on it every once in a while. I don’t think I’ve talked about it a whole ton on the blog, but I’ve been really struggling with my writing this year. January, February, and March were all pretty dead months. I didn’t write anything other than a couple chapters here or there. April has been a little of the same, though I did do some editing work on thieves and write all of that 20k for Saints at sea 2, but every day has been usually just reading. I’m upset about the not writing, but I also think I’m working through something. I was very active creatively at the end of 2018, and a few people have theorized that I pushed myself too hard, and I kind of agree. So, I’m still giving it some time, but if I’m still not writing in May, I’m going to have to take some steps to fix whatever’s going on. 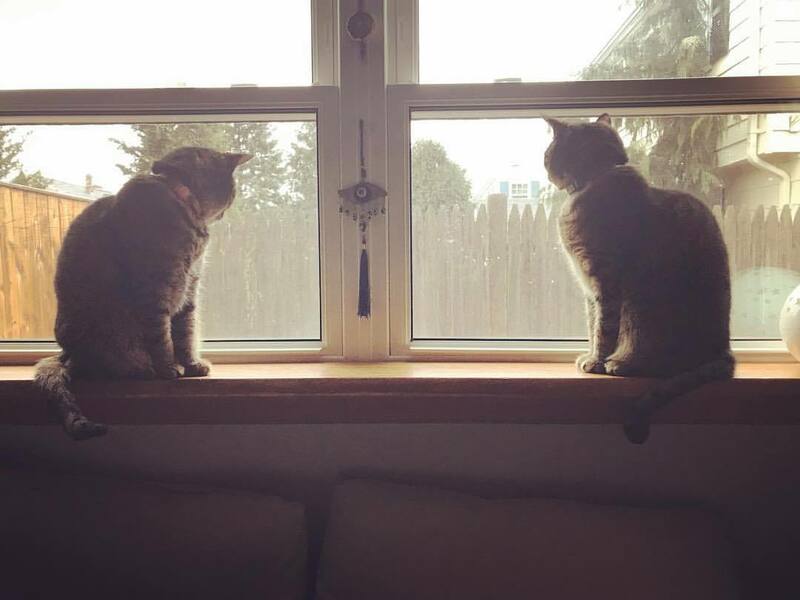 Because I posted a picture of these two idjits in my goals post, have another. Have I fulfilled my goal of loving them more than usual? Not even close, I must lie on top of one or both as soon as I get home. So that’s where I’m at with my 2019 goals, and I have to say, I’m pretty impressed! How are your 2019 goals going so far? Good luck with your writing, and I hope your reading continues to go well! Aw, thank you! I think it’ll feel really good to go into 2020 with nothing leftover from two years ago, so I’m trying. SHE WAS AMAZING, UGH. I’m still coming down from it months later, haha. I honestly totally just gushed about how beautiful she was because I was too in awe, haha.